Check out our full range of fishing tackle! Are you hooked on fly fishing? We are always searching for the best products. Once the biggest supplier of Hardy Tackle in N.Z, today we are a Euro Nymph Specialist embracing the European Brands VISION of Finland and HANAK from Czech Republic, why because the Europeans have been fishing this method for decades, producing the best Rods using those years of experience, their Waders, Boots, Clothing the result of years of experience also, typical of European products “Quality” sums it all up. Other Euro Nymph Rods in stock all of which we have tried before stocking them are Echo and Redington models. We encourage Anglers to try each model before purchase as they all have a unique action, we offer free lessons with any Rod sold. Of course we sell Fly Rods suitable for other methods Redington, TFO, Echo, Orvis for which we are an authorized agent, ORVIS synonymous with fly fishing for generations. Orvis strive to bring you the finest fly-fishing gear in the industry. Line of products blends cutting-edge technology with style and comfort to bring you the best fly-fishing gear on the market. Explore the wide variety of fly-fishing gear and find exactly what you need for your next fly-fishing adventure. 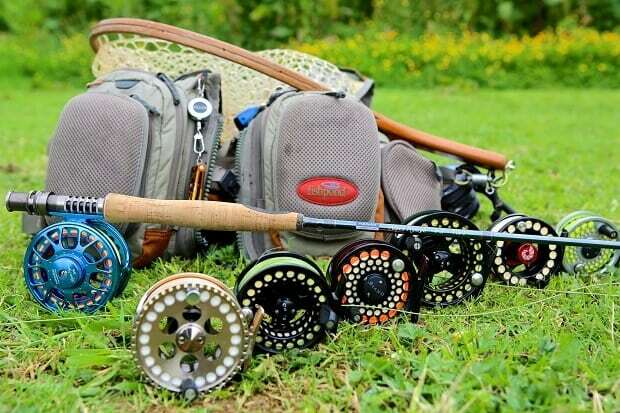 The selection of fly-fishing gear includes waders, boots, wading jackets, fly packs, fly rods and reels, fly lines, and tools and accessories so you are prepared when on the water. Dependable gear is something that all fly-fishing enthusiasts need. Orvis products are made from the finest materials and – backed by the Orvis Guarantee. We have many anglers come into the shop a bit disgruntled they have not caught many/any and proclaiming there are few fish in the river, we wonder if they have ever thought it might be the way they fish or lack of knowledge. learn to false cast, to many people pull line off the water with every cast scaring the fish. Try fishing less familiar water, faster water, tail water, shallow water. Do You have further questions you would like answered ? Would like us to feature something on ‘Reports – News from the river” Let us know below.